This session shares information on how Jacobs Engineering uses Building Information Modeling (BIM) to fulfill design requirements on a USACE design program, specifically the Battle Command Training Center (BCTC) program. The presentation showcases how a standard collaborative design approach used across multiple building types of BCTCs enabled previous design successes and ideas to be more readily applied to the next project. Will this be the major change that everyone is thinking it will be? Give it a quick read. 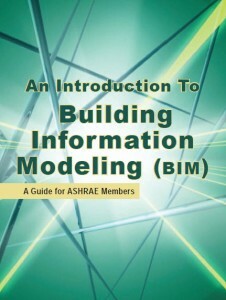 An Introduction to Building Information Modeling (BIM) provides information on how to adopt BIM tools and applications for use in business practices. This Guide identifies state-of-the-art in software applications and related protocols, along with additional resources for making a transition to BIM. You have to provide contact info and then download the doc after they send you a link. 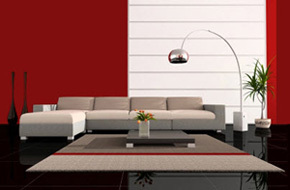 It is a good basic intro that might cover a lot of topics that you have heard before, but it is a good resource. The list of software at the end is nice. This is an old news item but I never posted on it. 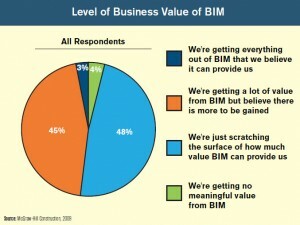 It discusses the number of BIM licenses each firm has. My firm (HMC Architects) is number 161. But since the survey we actually have 40 seats now, which would move us up to 135 or so. This appears to be the first time a survey like this was done by Building Design and Construction. There is no survey in the archives for last year. 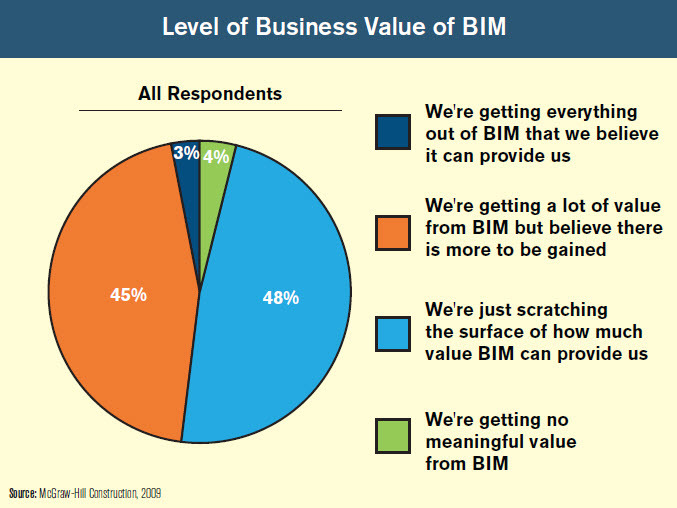 Of the 320 AEC firms that participated in the survey, 83% report having at least one BIM seat license in house, half have more than 30 seats, and nearly a quarter (23%) have 100-plus seats. In total, the Giants (their term for large firms) hold 28,174 BIM seats, with the average firm having 106 seats.